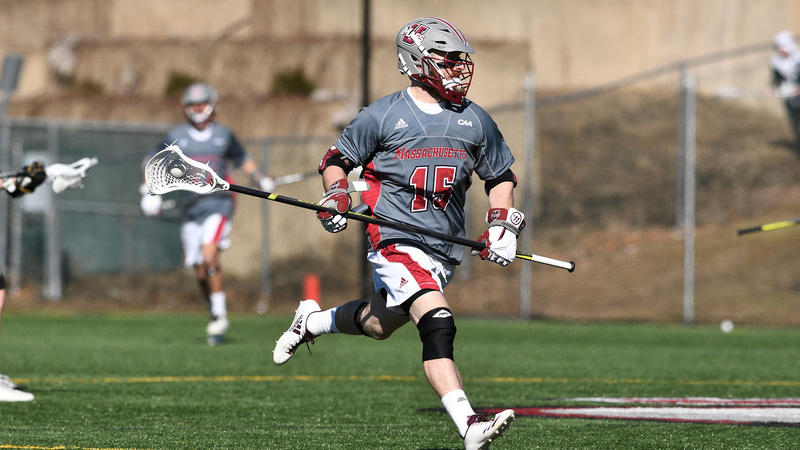 Boston, MA - (February 20, 2019) - Major League Lacrosse (MLL) takes a look into draft prospect and UMass defender, Isaac Paparo. UMass Amherst, the Commonwealth's flagship campus, is a nationally ranked public research university offering a full range of undergraduate, graduate and professional degrees. The UMass Minutemen men's lacrosse team was founded in 1954. The Minutemen have competed in the NCAA tournament 20 times, and they were the NCAA runner-up in 2006. Their current coach is Greg Cannella. Preseason active rosters in Major League Lacrosse feature Minutemen such as James Fahey (Boston Cannons) and Noah Rak (Charlotte Hounds). Cannella believes Paparo will be able to transition well into Major League Lacrosse. “Isaac has been a great representative and leader for our program, I expect him to do the same for the MLL. Isaac models present and former long poles who defended well, and pushed the ball in all situations upfield to create transition in a transition league!" Paparo is originally from Westport, Connecticut. He attended Staples High School before attending UMass. Papro was the highest scoring long-pole player across the CAA last season, he was named to the Tewaaraton Award Watch List, USILA All-America, Inside Lacrosse All-America, Jewish Sports Review All-American Team, NEILA All-Region First Team, All-CAA First Team, CAA All-Championship Team, Team Captain and CAA Player of the Year. In 2019 he returns as Captain, he has been named Inside Lacrosse Preseason All-America and NEILA Preseason All-Region. The Minutemen have suffered tough losses at the beginning of this season, but Paparo has managed to secure 6 caused turnovers, 6 ground balls, and 1 assist. Cannella stated that Paparo reflects past long poles who have defended well for the Minutemen. Will Paparo follow fellow Minuteman and defender, James Fahey, into the MLL ranks? Tune into Lax Sports Network on March 9 at 7pm to see if Isaac Paparo will be one of the 63 players to be selected in the 2019 MLL Draft presented by Cascade.